We have already emphasized the fact that the clash of religion and state, as the elections near, will continue to play a key role in public political discourse. We've presented the finding from the 2018 Israel Religion & State Index that 57% of adult Jewish Israelis said that a party, which commits to advancing the principles of religious freedom and equality in the Knesset and Government, would be more likely to receive their votes. Today, we have seen another reminder that this observation refers not only to the opposition parties and left-wing voters, but also represents a growing trend within the Likud governing party itself. The national radio reported today on a gathering of the "Liberals in the Likud" who were addressed by Minister Ofer Akunis (Likud). He was recorded stating the following: "The Surrogacy Law that distinguished between men and women is a disgrace... The Surrogacy Law is a disgrace to the National Movement [namely: the Likud]." Akunis also similarly referred to the pressure to stop railway maintenance and repair work on Shabbat and Mini-Market Law, which were approved by the Knesset in recent months, saying, "We do not represent the Gur Hassidic Dynasty in the Government. This is done excellently by Deputy Minister Rabbi Litzman. We with our thirty MKs, much to one's regret, don't do this [meaning: represent our constituents]... This must be spelled out from within the Party as well." This indicates that a previous strong statement of this Minister on a related matter (the military draft of yeshiva students), which we reported on in May was not a one-time outburst, but rather a consistent outlook regarding the pitfalls of the Likud's continued submission to the demands of the ultra-Orthodox parties. It should be noted that the "Liberals in the Likud" is a caucus within Likud established in 2013, whose mission is to "advance the liberal values, individual freedoms, and free market in the Likud in particular and in the country as a whole." They specifically include "freedom of religion and conscience" as part of a long list of caucus principles that they uphold. Even regarding the basic question of support or opposition to including the ultra-Orthodox parties in the Coalition, 64% of Likud party voters want to see a Government Coalition without them. While the Likud policies do not yet reflect these sentiments, it's important to remember that Likud voters, for the most part, strongly identify with them. For instance, even regarding the basic question of support or opposition to including the ultra-Orthodox parties in the Coalition, 64% of Likud party voters want to see a Government Coalition without them. Similarly, when asked whether the public supports or opposes the need to amend the Parties Law, so as to compel all political parties to allow women to become party members and to include them on viable slots on the lists of candidates, 81% of Likud voters responded affirmatively. Clearly, this is a direction of great importance in pursuing policy changes in matters of religion and state, and building collaborative efforts with such groups as the "Liberals in the Likud" on both the political right and the political left. As we have demonstrated in the Index, support for religious freedom and equality DOES NOT follow the dividing lines between left and right. The "Liberals in the Likud" see themselves as heirs Jabotinsky's liberal legacy (among others on matters of religion and state). 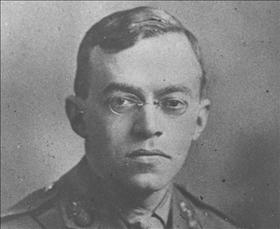 It is both important and interesting, therefore, to note that Jabotinsky (who founded the ideological Zionist movement that ultimately gave rise to the Likud) expressed a strong view on these matters. Unfortunately, this has yet to find tangible expression in the Likud's policies. In 1919, he wrote: "Judaism is a nation, not a religious community... [but] we have surrendered to the clerical'ism, which fights against women's equality... only a few months ago, we hoped that we would be able to coexist in peace with the Haredi sector... but now we must be concerned that even in this country the 'Culture War' in its sharpest forms is inevitable... They have forgotten that one should not be playing with fire and give voice to tendencies whose place is in the grave."